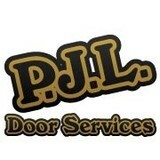 PJL Door Services has been in business since 1985, working in and around the greater Edmonton area. We are members in good standing with the Better Business Bureau. The company was opened by two gentlemen that wanted to provide great service and quality parts at a fair price. 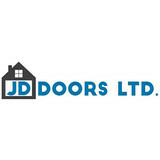 JD Doors Ltd. has been serving Edmonton and surrounding areas for over 30 years. In the beginning our goal was to provide great service for commercial overhead doors. Over the last 30 years we have expanded to residential garage doors and dock leveler products. We have the knowledge and capability to help you find the right products to suit your needs. We are affiliated with the International Door Association, Canadian Door Institute, BBB (Better Business Bureau) and hold an A+ rating. We have been serving the residential side of overhead doors with excellent service standards and quality products for some of the biggest clients in Edmonton. Along with commercial and residential overhead doors, we have also expanded into dock levelers, dock bumpers and seals. Whether you need installation or service we are here to help. We have grown from a home based company in 1981 to a mid-sized family company that has a personal touch. At JD Doors Ltd. we use well trained personnel and quality Canadian made products to promote the company and propel us into the future. 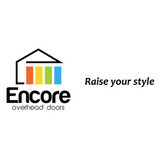 *Authorized Master Clopay Dealer* Encore Overhead Doors is a locally owned and operated garage door business that services the entire Greater Edmonton area. By providing top quality products and services, and making customer service a priority, our goal is to make every customer a life-long customer. We specialize in the sales, installation and repair of garage doors and garage door openers. Our affiliation with industry leaders Clopay® and LiftMaster® allows us to offer the latest technology in durable, energy efficient, environmentally friendly garage doors and state-of-the-art garage door openers that can be controlled from a smartphone or computer. Our business is garage doors. As the largest moving object in your home, leave it to the professionals when something goes wrong. Call us at 587-754-1446 or fill out our online contact form and we'll contact you at your convenience. Edmonton's Garage Doors, Entry Door & Windows Experts. As one of the leading installers of garage doors in Edmonton, Knight Doors and Windows offers exceptional customer service to get you the best quality products for your project and budget. Dedicated to expert service, Adore A Door provides maintenance, repair, and installation of all residential, industrial, and commercial overhead garage doors. With over 35 years of experience, our service team is dedicated to serving you, our valued and dynamic customer. Providing sound advice, skilled workmanship, and quality products, Adore A Door offers prompt solutions for all of your garage door needs. With a knowledgeable team on stand-by, we offer 24/7 emergency service to all of Edmonton and surrounding areas. Adore A Door is committed to efficiently servicing all sizes of residential, industrial, and commercial overhead garage doors. JD Industrial Door Service Ltd. has been operating for over 30 years offering rock-solid Edmonton garage doors for our residential & commercial customers as well as a great repair and parts service. With long-term employees and the owner’s wealth of experience, we have the knowledge and capability to help you find the right products and service for you or your business. Our collective experience is over 100 years. We are affiliated with the International Door Association, Canadian Door Institute, BBB (Better Business Bureau) and hold an A+ rating. Certified and Authorized dealers of Steel-Craft Door Products Ltd, CLOPAY Overhead Doors, Liftmaster Door Products and Accessories and Doorlec Electric Operators. Steel-Craft garage doors are the best quality available nationwide. From design to creation, our high R-values and quality construction ensure our products withstand weather and the test of time. Our expansive list of products delivers outstanding performance year after year, but it’s our passion for excellence and attention to detail that truly sets our garage doors apart. With unlimited varieties in design, size and finish, Steel-Craft manufactures garage doors that are just right for you. Proud to offer truly innovative and durable products that are made with 100 per cent Canadian materials, choose Steel-Craft doors for immaculate quality and the highest efficiency. City Custom Doors provide sales, service and installation of residential and commercial overhead doors, garage door operators and overhead door accessories. A Canadian owned full-service garage door company operating since 1970, City Custom Doors has been a member of the Better Business Bureau since 1995. Since the company's inception, they have installed in excess of 20,000 garage doors to satisfied customers. On September 22nd, 2014, City Custom Doors will celebrate its 44th successful year in business. City Custom Doors is proud of our history, but with our new Owner Curtis Barnstable, and the new Management Team in place, we look forward to the next phase in our company’s future. Come visit our new Showroom where our team of qualified sales and installation professionals can help you with any of your garage door needs in a prompt, thorough and cost-effective manner. Call or visit our showroom for expert advice and knowledge on your garage door product and service needs. Prestige Doors is a residential and commercial garage doors specialist that has been serving the Edmonton area for a number of years. We have completed thousands of installation and repair jobs for our clients, and cost and efficiency of service are two of the factors that set us apart from our competitors. We have built our business based on trust and when you work with us you can expect the following: Professionally Trained Staff – With unemployment rates so high there are many unqualified individuals falsely advertising themselves as professionals or specialists, but when you work with Prestige Doors you can rest assured that every member of our team has completed a formal training program and that we are a genuine Factory Authorized Service Provider. Specialist Equipment – Garage doors are expensive items and if not repaired or installed using the correct tools and equipment they could be damaged, costing you hundreds of dollars in the process. When working with Prestige Doors this is not something you have to worry about since we always arrive fully prepared for every job. Same Day Service – Are you in a hurry to have a new garage door installed? Or perhaps you are experiencing problems with your garage door and need it fixed as soon as possible? If you call us on (780)709-6162 we can come out to your property and carry out the work on the same day. Free Estimates – Before agreeing to have any work carried out at your property it’s important to have a written copy of all details pertaining to the project. Not only do we always provide you with this but we offer free initial estimates and some of the most competitive rates in Edmonton and the surrounding area. We have the experience necessary to get the job done. From the first consultation to the final walkthrough where we show you how everything works together, the Dream Garage by Auto Details team is well-trained and professional, and it shows! Gulliver Garage Doors LTD is a garage door repair company has several years of repair experience serving of citizen Edmonton. Garage Door Repair Edmonton professional repair various type of garage model like steel, wood, aluminum, carriage house, sectional garage, roller of track, residential, commercial with provide installation and replacement services. Our company technicians are very exceptional quality, experience and service in mind. Our garage brands are Linear, Wayne Dalton, Genie, Liftmaster, Craftsmaster and other more brands. We also repair broken torsion spring, broken cable, opener, broken panels and unresponsive keypad. Trust us Edmonton people for our garage door installation and repair services. Our skillful technicians are 24/7 hours available to handle your garage door problem with your requirements. Call (780-885-5033) to found our local expert services. Overhead Door Co. was established in 1961. Decades later, this family-owned and operated company continues to grow and expand – a record of success unmatched in the North American garage door industry. The majority of products sold and serviced by the Overhead Door Co. of Edmonton are engineered and manufactured by the Overhead Door Corporation, which created and named an entire industry, and continues to lead the way in innovation and design. High quality products and dedicated employees are the cornerstone of our mission to be the undisputed leader in the marketplace. Our team thrives on the challenge of providing products and service that exceed your expectations. Consumer satisfaction is our key to continued growth and prosperity. Call on us - your professional garage door consultants. Kangaroo Garage Doors is a premier garage door service company dedicated to providing quality sales, service, installation and repairs. Kangaroo Garage Doors is able to provide same-day service to all commercial and residential customers. We also provide FREE ESTIMATES for all new garage door installations. Garage door service, repair and install all types of overhead garage doors, door parts, broken springs, automatic openers, garage door key less entry systems, radio controls, transmitters and more. What kind of services do Saint Albert, AB garage door dealers and installers provide? Garage door professionals specialize in the selection and installation of residential garage doors and openers that fit your budget, style and needs. This includes choosing a garage door style — or designing a custom garage door — that blends in with your home’s exterior, selecting materials, determining a technological system that supports your security and access needs, determining proportions and dimensions, finalizing decorative designs and ensuring that everything meets Alberta compliance and building codes. Find garage door sellers and installers in Saint Albert, AB on Houzz. Narrow your search for Saint Albert, AB garage door sellers and installers by selecting the nearest city or zip code. Look at portfolio and product photos, and read reviews to find the best Saint Albert, AB garage door professional for your home.